Dominic Welch: Phenros Stone: Commissions. This piece was commissioned in 2004, and completed in 2005. The original block of Kilkenny Limestone was 10.5 tonnes. To commission similar sized piece today would be in the region of £25 000 to £35 000, with an approximate completion time of 7 months. 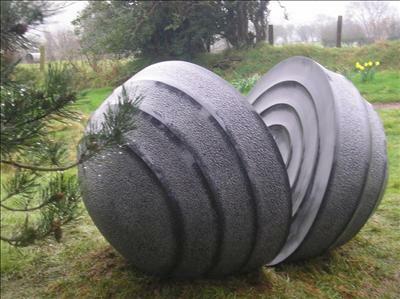 All stone sculptures, whether speculative or commissioned are unique and evolve through the making process.